Happy Sunday, Amy Young! 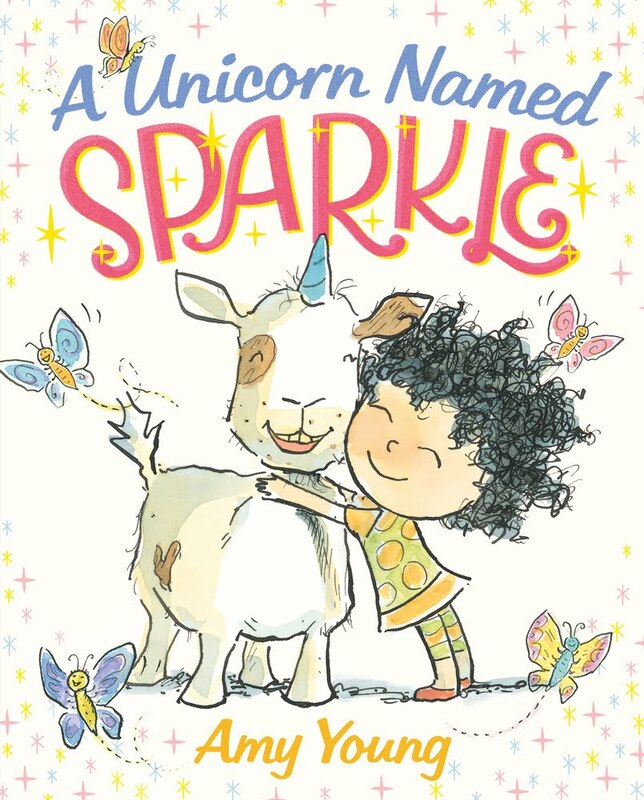 Thank you for dropping by to finish my sentences and share the FABULOUS book trailer for A Unicorn Named Sparkle. 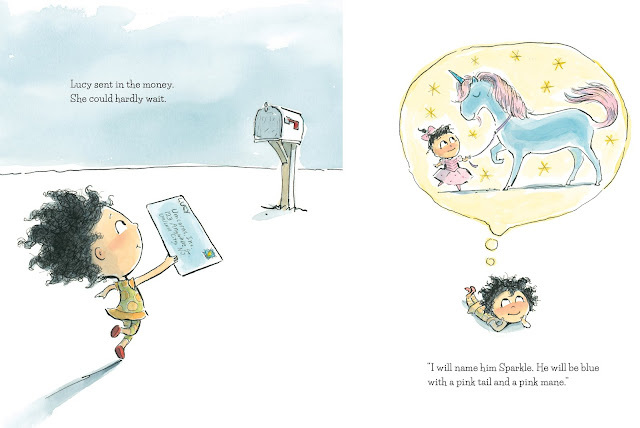 The book trailer for A Unicorn Named Sparkle is done by the wonderful people at FSG, and was a surprise and a delight for me to see. Don't you love the rainbow at the end? 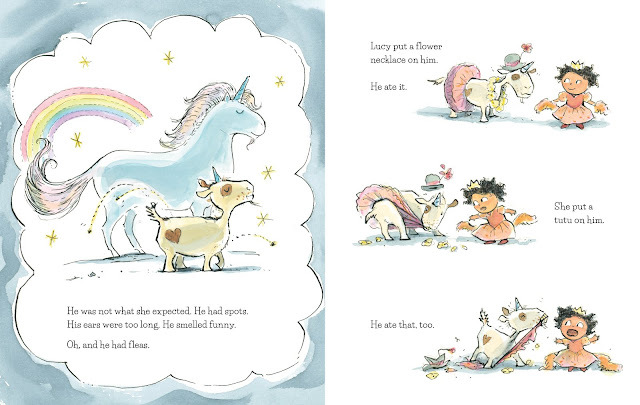 That shows that Sparkle is a true and magical unicorn, even if he looks a lot like a goat. I think Lucy is smart and strong and impulsive. She has very definite opinions about how things should be, but she is also a big enough person to admit that she was wrong about Sparkle. She also has really, really great hair. Unicorn City, New Jersey... Well, yeah. A lot of stuff comes out of New Jersey. Even discount unicorns. A Unicorn Named Sparkle's end-papers would make great wallpaper. When I was a child, I had a pet cat named Moowautha (my sister came up with that name). When kitty wanted to come in late at night she would climb up onto the roof, hang over the edge right above my window, and meow until I ran downstairs to let her in. I also had a turtle named Charlie. Charlie loved little balls of hamburger dipped in cod liver oil. I could tell by the way he half closed his eyes and tilted his head. School libraries are awesomely incredible and incredibly important. And so are school librarians! Mr. Schu, you should have asked me what's next for Lucy and Sparkle? So I'll tell you to keep an eye out for their next adventure, A NEW FRIEND FOR SPARKLE, coming from FSG on Spring 2017. Borrow A Unicorn Named Sparkle (after July 5) from your school or public library. Whenever possible, please support independent bookshops. I have a student who is obsessed with unicorns-she would love this book! Thank you for sharing!